Robert James Ballantine would have been celebrating his 100th birthday in July 2013 when I launched stamp London. My grandfather was a physicist who worked for almost his entire career for the British electronics company GEC Marconi. Having designed thermionic valves, and also some of the circuits at Goonhilly Downs through which the first two decades of transatlantic television were transmitted, in the early 1970s he headed to the nation of Zambia to help establish the country’s international telecommunications infrastructure. Some of my earliest memories are of a family trip to Africa in the summer of 1975 to visit Gran and Granddad. We spent time in the capital city Lusaka, seeing the wildlife in the game reserves, visiting Victoria Falls, and also going to see the colossal satellite dish that was constructed under his project management at Mwembeshi. 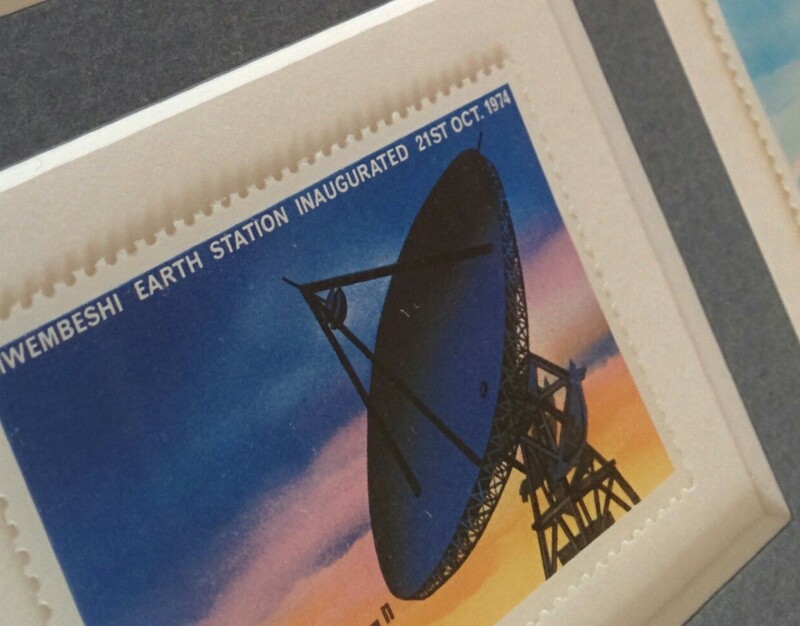 The earth station project was of such significance to Zambia that, amongst other celebrations, a set of commemorative stamps were issued to mark the occasion. That’s the inspiration behind stamp: to work on projects that involve people, communications and technology that get celebrated in similar fashion. I’ve no idea what those projects will be, when they will happen, or even if stamps will still exist by the time I get there. But “stampable” is the yardstick by which I make decisions about the projects on which I work.